Football is among the most talked about sports in the United Kingdom. It goes without saying that London is going to be right in the center of this discussion. With so many football teams based out of London, this comes as no surprise. 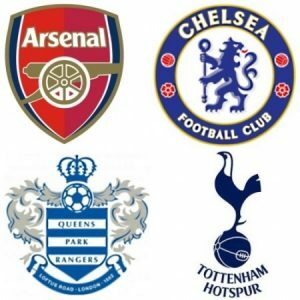 Here are a few of the most popular London teams who are in the English Premier League today. The Gunners have been playing professional football in the Premier League ever since the 1919-20 seasons. They have won the title on thirteen occasions and have a record for going an entire season without losing a match in the 2003-04 season. Arsenal has also won the coveted ‘double’ thrice. The club was started in 1905 and have been in the Premier League ever since. They have won the title six and the FA Cup 5 times. They play at Stamford Bridge and there is also a Chelsea museum which is worth visiting for anyone who is interested in learning the history of football London. The Spurs football team of 1961 is still considered to be among the best in the history of English football by many. They are also the team which managed to win the double that year when it hadn’t been achieved in over 50 years since Aston Villa did it back in 1897. This is the main reason the current crop of Spurs players have lots to live up to. The tradition of Spurs playing excellent football carries on to this day. They are also part of one of the fiercest London rivalries of all with Arsenal. Spurs were also the first English club to win a European trophy in 1963. Spurs have a new stadium being constructed right now which is supposed to be among best in the world by far.